Providing you the best range of 3hp solar water pump controller and 2hp solar water pump controller with effective & timely delivery. 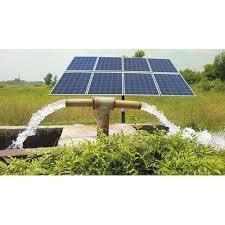 We offer solar PV panel operated submersible 3HP Solar Water Pump or surface pumping solutions. 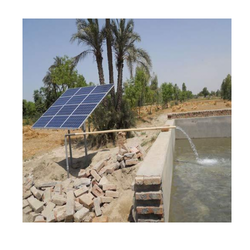 Our range comprises of 0.5HP to 10HP solar water pumps. Depending upon the requirement we can offer 0.5HP to 10 HP solar water pumping solution which is energy efficient and economical. We offer solar PV panel operated submersible or surface pumping solutions. Our range comprises of 0.5HP to 10HP solar water pumps. Depending upon the requirement we can offer 0.5HP to 10 HP solar water pumping solution which are energy efficient and economical. Dyanic lift head - 160feet.